After completing an NCS course run by Peterborough United’s community department ‘The Posh Foundation’, teenager Callum Avent landed his dream job at his boyhood club. There are a number of different challenges for young people as they go through adolescence. One of the most common hurdles is a dip in self-confidence. The National Citizen Service (NCS) programme has a proven success rate of helping 15-17 year olds build their confidence levels and develop important life skills. It is a chance for teens to shake things up and develop new skills for whatever post-GCSE life has to throw at them. It changes how teens see the world and has a huge impact on communities across the UK with over 1.9 million hours of social action taking place across the country – the equivalent to building 74 Olympic Stadiums and 1 The Great Wall Of China. Teenager Callum Avent turned his life around after signing up to the NCS programme four years ago at his beloved football club, Peterborough United. Callum is first to admit that when he started the programme, he was a very shy and quiet person. Now, aged 19, Callum is a self-assured young man and is living his lifelong dream by working full time for his favourite football club Peterborough United as their Futsal Assistant. ”The NCS programme instantly appealed and it has helped me in so many ways.” admitted Callum. ”A lot of people joined who were in the same boat as me and we learned so many important life skills that have proven to be invaluable. ”The NCS programme has benefited me as a whole. I was very shy and had no confidence but by being given responsibilities and working as a team it helped me be who I am today. “We did a few different tasks such as helping local charities and going away for a few days to Shropshire to do team activities. We also did workshops for CV and employability which opens so many doors. Callum’s attitude and commitment to the programme was noted by the club’s NCS manager Jenna Lusk, resulting in the die-hard Posh fan gaining full time employment at the League One side. 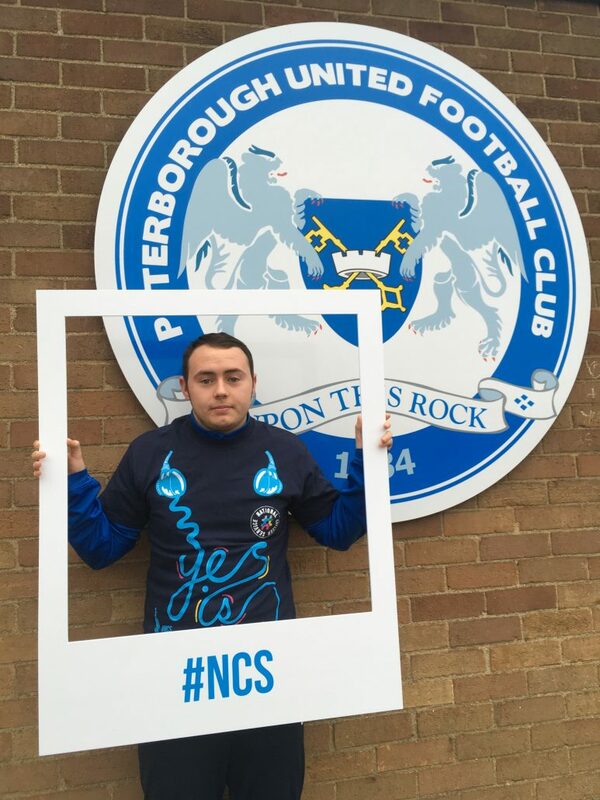 Callum explained: “Peterborough United invited me to come back and be a volunteer for the NCS programme. It was something I immediately wanted to do, to help others. “Alongside NCS, I was on the Futsal programme and after my scholarship finished, Jenna offered me a job and I haven’t looked back. “I would tell any young person to say yes to NCS because it can help you achieve your ambitions that you think may not be possible. “NCS is growing, when I was first on the course I used to talk to people about it and only a few people would recognise it. Now it is so popular and everyone knows what it is. A lot of organisations recognise NCS. 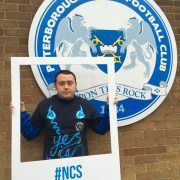 Peterborough United amongst 31 other clubs across the EFL will be hosting a NCS match day. The NCS Match Day takeover has proven to be a huge success in recent years through the guidance of EFL Trust, with the aim to increase awareness and increase participation. The club’s first team players will have an important role to play by warming up in NCS branded t shirts and meeting programme graduates. Southend United player visits Lancaster School NCS Matchday takeover!